After dodging a bunch scrutiny by the surrounding neighborhood and special approval from Chicago’s City Hall, country music power trio Rascal Flatts made history as the first country artists to play Chicago’s very own Wrigley Field. A concert that went on to sell-out with a mere 37,000 fans that cool July evening in 2009. 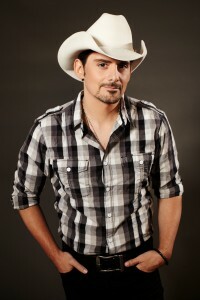 Three years later, it looks like country music is being called back to the ballpark as the CMA Entertainer of the Year, Brad Paisley, is headed to the north side confines on Saturday, June 9, 2012, with a home-run of a lineup. Miranda Lambert, Chris Young, The Band Perry and Jerrod Nieman will joining Mr. Paisley on the Chicago-stop of his 2012 Virtual Reality World Tour. Tickets go on sale to the general public starting tomorrow (Jan. 27) at 10 a.m. through Live Nation and Tickets.com.